Item number 2704/43 a-ff from the MOA: University of British Columbia. 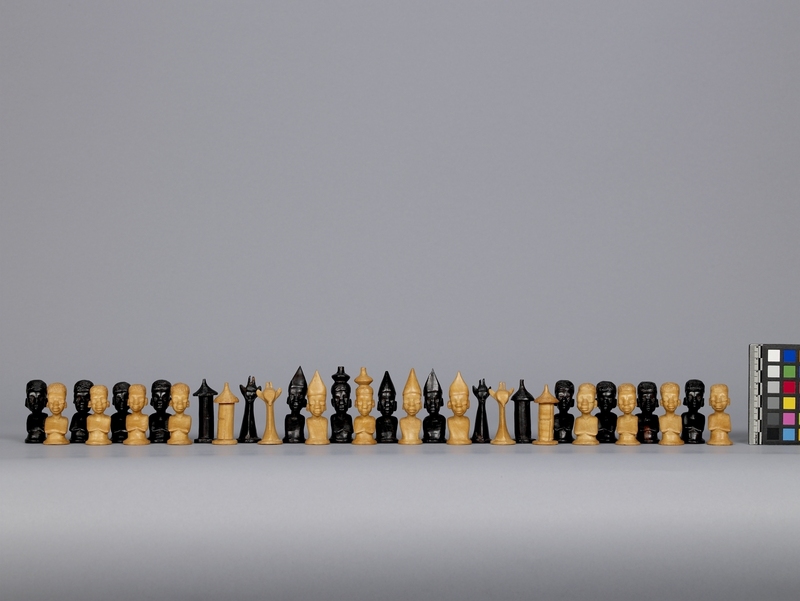 A complete set of 32 chess pieces in light and dark wood. The pieces differ from the traditional forms. The 16 pawns are women with short hair and breasts (a-h, q-x). The 4 knights are giraffes (i, j, y, z). The 4 bishops are men with pointed visor-like hat (k, l, aa, bb). The 4 rooks are posts with pointed roofs (m, n, cc, dd). 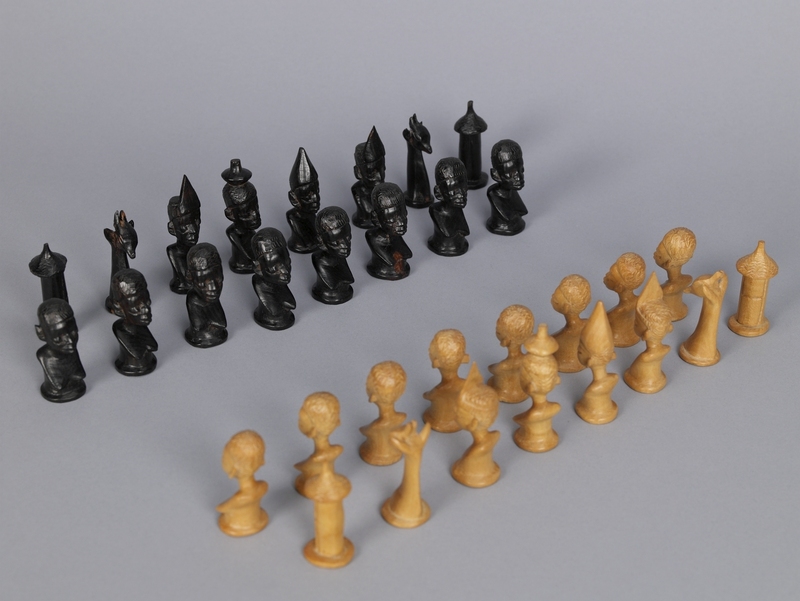 The 2 queens are women with rounded crowns (o, ee). The 2 kings are men wearing a pointed hat (p, ff).